The Evergreen State College recognizes that the publication of scholarly works and the conduct of research are an integral part of its educational mission. The Evergreen State College encourages college personnel (faculty, staff, and students) through individual initiative to, produce materials that may be copyrighted by their author(s) and to conduct research leading to discoveries that may be patented by their discoverer(s). Resulting monetary benefits, such as royalties, are considered appropriate compensation to faculty, staff, and students in exchange for the benefits received by the institution if the procedures under this policy are followed. 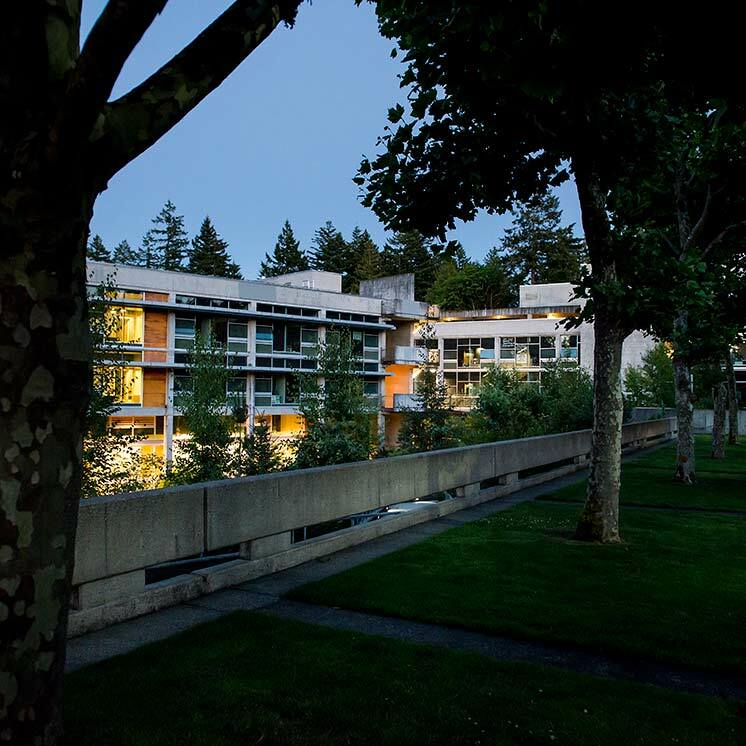 The Evergreen State College also recognizes the need to advise faculty, staff, and students on the use of materials copyrighted by others, and to provide a means to decide whether particular uses are allowable under copyright laws. (1) It is the purpose of this policy statement to clarify the respective rights of individual faculty, staff members, students and the college by defining the categories of effort under which copyrightable materials and patentable discoveries are developed, establishing procedures for administering policy concerning these, and delineating college-wide policy governing their ownership, use, and the rights to any resultant income. (2) This policy also provides guidance regarding the conditions and procedures under which material copyrighted by third parties may be reproduced or otherwise used by faculty, staff, and students at the college. (3) This policy extends to all faculty, staff, and students at the college. (4) This policy applies to all copyrightable materials (regardless of format) and to all patentable discoveries. The kinds of materials which may be copyrightable and the kinds of discoveries which may be patentable are defined by United States law, and although specific examples may be given in the sections that follow, the scope of this policy is not limited to those examples. (1) The president of the college shall appoint a seven-person "Copyright and Patent Board" (CPB) and an officer of the college to administer the provisions of this policy. (2) The CPB will consist of four standing members: the academic dean responsible for budget, the dean of the library, the controller, and the officer of the college charged with administering this policy. Three additional members will be appointed for two-year, overlapping terms and will include representatives from the faculty, staff and students. (3) The CPB advises the administrative officer on interpretations and applications of this policy, periodically reviews the policy set forth in this statement, makes decisions in specified areas identified within, and may recommends changes to the president. (4) The administrative officer shall represent the college in negotiating all agreements with authors or producers pursuant to this policy. The administrative officer, in consultation with the CPB, shall make all decisions regarding whether the college wishes to have materials copyrighted or discoveries patented in its name. Individual faculty, staff and students may not copyright materials or patent discoveries in the college's name. Where copyright or patent coverage is to be obtained on college-assisted, externally sponsored, or college-sponsored materials or discoveries, the administrative officer will initiate the copyright or patent application. (5) The administrative officer will also receive and act upon all questions concerning the use of materials copyrighted by third parties, with advice from the CPB as required. (1) Statutory copyright is based on laws enacted by Congress. The Constitution of the United States gives Congress the power to enact laws relating to copyrights, in Article 1, Section 8, which reads "Congress shall have power ... to promote the progress of science and useful arts, by securing for limited times to authors and inventors the exclusive right to their respective writings and discoveries." Under this power Congress has from time to time enacted various laws relating to copyrights. (2) A work must be original to be copyrightable; it is not necessary that it be novel as is the case with an invention. The copyright goes to the form of expression rather than to the subject matter of the writing. A description of a machine could be copyrighted as a writing, but this could only prevent others from copying the description - it would not prevent others from writing a description of their own or from making and using the machine. (3) A copyright protects authors by granting them exclusive publication rights to reproduce, publish, distribute, or sell their works for a specified period of time. Copyright protection can be claimed only by the author(s) or those authorized by the author(s) to assert this right. Works produced by an individual specifically employed for such production are normally copyrightable by the employer and not by the author-employee. A copyright may be registered, assigned, transferred, limited, or licensed by a written agreement signed by the author(s) or the owner(s) of the copyright. Under Section 302 of the Copyright Act of 1976, works are protected from the moment of creation, whether published or unpublished, and do not necessarily need to be registered or identified with a copyright notice; however, a person may argue as a defense against a copyright infringement suit that s/he innocently infringed a copyright in reliance upon the absence of a copyright notice. Under common law, copyrightable material which is not placed on sale, sold, or publicly distributed is the sole property of the author(s) and may not be reproduced or used without his/her permission. (4) Current law extends the basic term of copyright protection to the life of the author(s)/producer(s), plus 50 years. (5) Property rights in copyrightable material (and the right to register under the statute) may be secured by publishing the work in printed or otherwise processed form bearing a proper copyright notice. This right may be protected by statute by acquiring a formal registration from the U. S. Copyright Office. Under certain conditions copyrights on unpublished work may be registered by filing the appropriate application form and depositing one complete copy with the U.S. Copyright Office. The various forms for registering copyrightable material of several media may be obtained from the register of Copyrights, U.S. Copyright Office, Washington, D.C. 20025. (1) Under Section 102 of the Copyright Act of 1976, copyright protection is afforded to "original works of authorship fixed in any tangible medium of expression" including the following: literary works; musical works, dramatic works, pantomimes and choreographic works; pictorial, graphic and sculptural works; motion pictures and other audiovisual works; and sound recordings. Under Section 106, the owner of a copyright is afforded certain exclusive rights with respect to such copyrighted works. Among these exclusive rights are the right to reproduce the copyrighted work, to distribute copies of the copyrighted work to the public, to prepare derivative works based upon the copyrighted work and to perform or display the copyrighted work publicly. A patent is intended to protect intangible personal property or property of the mind (intellectual property.) A patentable discovery must be novel and non-obvious. A patent provides its owner with the right to exclude others from making, using, or selling the inventor's claimed invention in the U.S. for a limited period of time (14 years for design patents). The patent does not provide a right to make, use, or sell the invention because those activities may interfere with a prior patent that has not expired. The 1952 Patent Act sets forth those classes of material which are eligible for patenting. Statute implementing the constitutional provision is found in Title 35 of the U.S.C. Section 101-376. That statute provides that any inventor who "invents or discovers a new or useful process, machine, manufacture or composition-of-matter, or any new or useful improvement thereof, may obtain a patent therefore, subject to the conditions and requirements of the law." In the United States, a patent may be obtained if a patent is filed within one year after the invention is disclosed through publication or commercial use. The range of patentable discoveries has increased greatly in recent years, and the law in this area is evolving rapidly. Materials subject to patent may include any invention, discovery, dissertation or research results. Recent changes in copyright laws, as well as recent court cases (e.g., the 1989 "Kinko Case") have made it more difficult to determine the legitimacy of academic use of copyrighted materials when permission has not been obtained from the copyright holder and have raised questions about the so-called "Fair Use Doctrine." It is the purpose of this section of this policy to advise faculty, staff, and student on the use of such materials. (1) Use of Copyrighted Materials with Permission. The safest course of action for those planning to use copyrighted materials is to obtain advance permission for such use from the copyright holder. Many copyright holders are willing to grant permission to copy their materials for academic use, especially if the materials are no longer commercially available (e.g., out-of-print books). Faculty, staff, or students contemplating such use should begin by contacting the publisher or distributor of the materials. The college bookstore can assist in making such contacts and securing permissions. (2) Reproduction of Copyrighted Materials for Sale in the Bookstore. The college bookstore will not reproduce materials for sale unless permission has first been obtained from the copyright holder. The bookstore has procedures to attempt to obtain such permission. Faculty or others planning to have the bookstore reproduce and sell copyrighted materials should contact the bookstore employee(s) in charge of placing orders and complete the forms provided by the bookstore. It can require several weeks to obtain permission. Obligations or securities of the United States government, or its agencies, such as: certificates of deposit, certificates of indebtedness, coupons from bonds, federal reserve bank notes, federal reserve notes, fractional notes, gold certificates, national bank currency, paper money, silver certificates, treasury notes, United States bonds. Internal revenue stamps. If it is necessary to copy a legal document on which there is a canceled revenue stamp, this may be done provided the reproduction of the document is performed for lawful purposes. Postage stamps, canceled or uncanceled. For philatelic purposes, postage stamps may be photographed provided the reproduction is in black and white and is less than three-quarters or more than one and one-half times the linear dimensions of the original. Bills, checks or drafts for money drawn by or upon authorized officers of the United States. Stamps and other representatives of value of any denomination which have been or may be issued under an act of Congress. Adjusted compensation certificates of veterans of the world wars. Obligations of securities of any foreign government, bank, or corporation. Certificates of citizenship or naturalization. Foreign naturalization certificates may be photographed. Badges, identification cards, passes or insignia carried by military personnel or by members of the various federal departments and bureaus, such as FBI or Treasury, unless photograph is ordered by head of such department or bureau. Copying of the following is also prohibited in certain states: automobile licenses, driver's licenses, and automobile certificates of title. Insure that all college owned copying machines, FAX machines, and optical scanners bear an adhesive applique containing a notice that reproducing copyrighted material may constitute an infringement of federal law (Title 17, U.S. Code). Insure that all faculty and staff are provided an opportunity to obtain guidelines covering reproduction of copyrighted on campus materials (such as, "Questions and Answers on Copyright for the Campus Community," published jointly by the National Association of College Stores, Inc. and the Association of American Publishers), updated as required due to changes in interpretation of copyright law. Review operating procedures of campus units responsible for college-owned equipment capable of copying electronic media (such as video/audio recording equipment and computers) to insure that these units are notifying their users of applicable copyright restrictions. Provide such other information and forums for discussion as may be needed to assist the college community in adhering to copyright law. (5) Determination in Specific Cases. The college officer charged with administering this policy should be consulted by any member of the college community who is unsure as to his or her legal obligations under copyright law. With the advice and assistance of CPB, the college officer may issue decisions regarding particular uses of copyrighted materials that are binding on those affected. Determination of rights to copyrightable materials and patentable discoveries, as well as to any resulting monetary benefits, rests with the Copyright and Patent Board (CPB). The officer charged with administering this policy will be responsible for convening the CPB as necessary to consider such determinations. The CPB will decide by majority vote into which of the categories below each particular case falls. To determine the disposition of rights to copyrightable materials and patentable discoveries developed by college personnel, it is helpful to assess these within the framework of the following four categories of effort. Rights to copyrightable material and patentable discoveries generated as a result of individual initiative, not as a specific college assignment, and making only incidental use of college facilities or resources, normally reside with the author(s) or discoverer(s). Income derived from materials or discoveries resulting from the individual effort of college personnel will normally accrue to the author(s) or discoverer(s) alone. Where The Evergreen State College provides partial support to an individual effort resulting in copyrightable material or patentable discoveries by contributing significant faculty or staff time, facilities, or other college resources, it is reasonable to consider joint rights to ownership and disposition of these materials. "Significant" use of such resources means use which is more than incidental, but less than dominant or exclusive use, and which carries a cost to the college. In these efforts, institutional policy stipulates some degree of income sharing between the author(s)/discoverer(s) and the college. Ownership of copyrightable material and patentable discoveries developed as a result of assigned college duty, involving a dominant or exclusive use of college resources, or specifically commissioned in writing by the college will reside with the college. In these efforts, institutional policy specifies that the college will be the sole recipient of any derived income. Sponsored grants or contracts may contain specific provisions regarding the ownership, copyright, patent, or royalty income privileges related to materials or discoveries generated under the project. These conditions are binding on the college and the author(s) or producer(s). In certain instances where the sponsoring agency permits, it may be desirable to obtain copyright coverage or patents to encourage publication or production and, thereby, public availability. In particular, the U.S. Office of Education has issued guidelines for authorizing copyright protection and sharing royalty income when saleable publications are developed with assistance of that agency's funds. Details concerning this policy or the policies of other sponsoring agencies may be obtained from the college officer responsible for administering the provisions of this policy. Written agreements before development of externally sponsored materials or discoveries are essential. The college and the author(s) are obligated to adhere to the conditions of the grant or contract as stipulated by the sponsor. The sponsor may require the return of part or all of the income derived from sale of sponsor-supported materials which are copyrighted or discoveries which are patented. Institutional cost must be considered in determining the distribution of royalty income derived from copyrighted materials or patented discoveries generated under a sponsored program. It is Evergreen's policy to attempt to define in advance the disposition of rights to copyrightable materials and patentable discoveries generated through individual efforts, college-assisted individual efforts, college-sponsored efforts, or externally sponsored efforts. The final disposition of such rights may prove difficult to determine in advance, however, due to uncertainties in the ultimate proportions of individual effort and college support. Faculty, staff, and students, who intend to proceed with any project whose results may be copyrightable or patentable and which may involve significant, dominant, or exclusive use of college resources, must contact the college officer charged with administering this policy before beginning such a project. This administrator will then initiate the procedures required to determine ownership under this policy. If during the course of an activity, unforeseen opportunities to copyright or patent become evident, the policy administrator must also be notified. Internal use - use by the college for instructional or informational purposes. External use - use by educational institutions other than the college, state government or other nonprofit institutions, or use resulting from lease or contractual arrangements for commercial distribution of the materials or discoveries. (2) Use of college-sponsored materials or discoveries under this policy requires prior approval from the copyright and patent policy administrator. The policy administrator will confer with both the author(s)/discoverer(s) and account manager primarily responsible for the resources used to develop or produce the materials or discoveries before granting approval, if possible. Moreover, internal uses will not involve a transfer of funds between accounts unless the lending account incurs incremental costs in order to make the materials or discoveries available. S/he may ask that the materials or discoveries be withdrawn from use if revisions are not feasible. S/he may have copies of the work for personal use, but at her or his own expense. n cases where the college has invested significant funds in the production of the materials or discoveries and the author(s) or producer(s) are unable to agree with the policy administrator on appropriate revision or withdrawal of materials or discoveries, the question will be referred to the CPB for a decision. If the author(s) or producer(s) terminate employment with the college (or in the case of student(s), withdraws or graduates) then the college retains the right to continue use of college-sponsored materials or discoveries unless the author(s) or producer(s) and the college have agreed in writing beforehand on special conditions for subsequent use of the materials or discoveries and the procedures for their revision. The college shall have the right to retain, for the college archives, a copy of materials or discoveries. The officer appointed by the president of the college to administer this policy shall represent the college in setting the per-unit-cost required to recover production costs. All incremental expenses related to the production and distribution of additional copies or units shall be recovered from each sale or rental. An appropriate fraction of the college's original production costs plus overhead shall also be recovered from each sale or rental. Subject to any limitations or contrary procedures specified by external sponsors (if any), a royalty or other monetary return may be included in direct sale or rental prices. After the college's production costs are fully recovered, the first $1,000 of resultant royalty or other income will be allocated directly to the author(s) or producer(s). After the first $1,000, any additional resultant royalty or other income will be divided equally between the author(s) or producer(s) and the college. Multiple author(s)/producer(s), shall be responsible for determining how to divide their share. Direct sales or rentals of college-assisted, individually developed, materials or discoveries to other tax-supported institutions in the state of Washington or to the college's students or internal users shall not include a royalty markup. (1) Protection. The college officer responsible for administering this policy shall investigate allegations of unauthorized use or copyright or patent infringement of college-assisted or college- sponsored materials or discoveries and shall recommend appropriate action. If such action is started by the college, all costs of such action shall be borne by the college. All proceeds in excess of such costs shall be shared equally by the college and the author(s) or producer(s). (2) Liability. Before any use is made of college-assisted or college-sponsored materials or discoveries, the author(s) or producer(s) shall certify in writing to the college officer charged with administration of this policy that, to the best of their knowledge, the materials or discoveries do not infringe on any existing copyright, patent, or other legal rights. Should there be subsequent claims that college-assisted or college-sponsored materials or patents infringe upon the copyright or patent rights of some third party, the college Board of Trustees may approve defense against the claim by the Attorney General if the author(s)/producer(s) acted within the scope of employment and in good faith according to RCW 28B.10.842. The provisions of this section shall also apply to externally sponsored materials or discoveries unless the agreement with the external sponsor specifies to the contrary.